Mr. Riddhish came from Punjab to Gurugram for getting CCNA and CCNP R&S certification training. He visited many Cisco training institutes in Punjab but was never satisfied and finally he came at Network Bulls Gurugram for achieving his life goals. “Hello folks, I’m Riddhish Kumar and basically I belong from Punjab. After my schooling, I choose Networking as a career because the scope of Networking is very vast in India. One of my best friends has suggested me to join Network Bulls. Before joining NB, I visited many Cisco training institutes but never found updated Cisco labs and quality infrastructure. Without wasting my time, I got enrolled in Cisco Cisco CCNA + CCNP R&S combo certification training at Network Bulls. My trainers have deep knowledge of networking and treat us like their family member. They are always ready to solve our problems and motivate us to spend lots of time in NB labs for practical training. When I joined Network Bulls then I hold zero knowledge about Networking but after completing training I have become an expert in CCNA and CCNP certification course. My whole success credit goes to Network Bulls team and today, I am feeling proud of my decision of choosing Network Bulls. It is all about Riddhish Kumar review about his Cisco CCNA R&S and CCNP R&S course training at NB Gurugram, Haryana.  If you want to join Network Bulls for Cisco certification course training then Contact Us on 1800-3070-7628 or email us at admin@networkbulls.com.